Assessing the Condition of Your Switchboard: Is it Time to Upgrade? Home/Commercial, Residential, Support, Tips & Tricks/Assessing the Condition of Your Switchboard: Is it Time to Upgrade? It is a good idea to take the time to consider whether your switchboard is ready for an update, especially if your home is 30 years or older. An electrical switchboard is a device that sends electricity from one or more sources to several smaller areas of usage. It is a group of one or more panels, each of which contains switches that allow electricity to be redirected. The older a switchboard gets, the less effectively it redirects power or handles the high level of power that a vast range of modern appliances require. Old switchboards contain ceramic/porcelain fuses which are prone to short-circuiting. Upgrading to a modern switchboard ensures your home’s safety, as old ceramic fuse boxes have an increased risk of electrical fire. New switchboards have circuit breakers, safety switches and high voltage diverters which old fuse boxes do not. If you plan on installing solar panels, a new heating/air-conditioning system or adding any device that requires a dedicated circuit then you may need to update your switchboard. Take the time to have a quick look at your switchboard. Most commonly it will be located on an outer wall of the home, particularly in older homes where they are usually positioned in the entrance way near the front door. If you see ceramic/porcelain fuses then your household could benefit from a switchboard upgrade. Like anything else in your home, switchboards need a little TLC and maintenance from time-to-time. 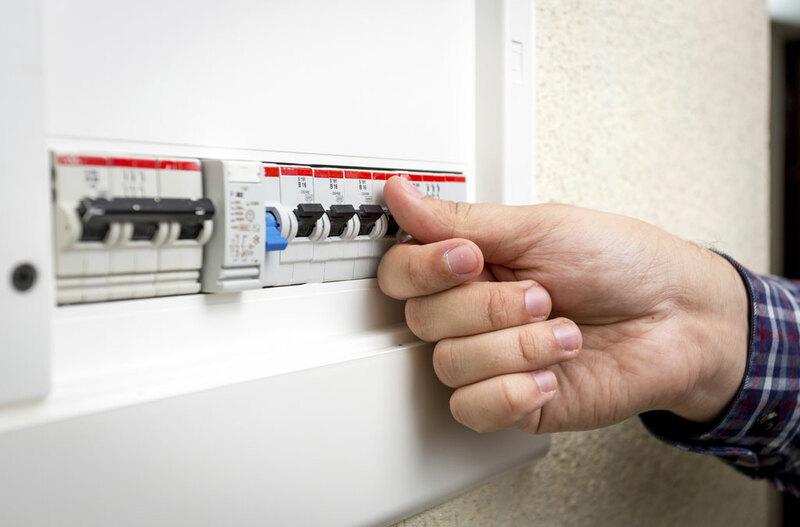 We at Captain Electric are committed to going Above and Beyond to keep you safe, and would be happy to review your current switchboard to provide you with competent and professional advice. Please call us today on 1300 445 996 or visit our website www.captainelectric.com.au (REC 18185) to arrange a free visit to discuss your options. What Should You Do When the Power Goes Off?